No matter if you are looking to revamp a huge office full of people, or whether you are thinking about revamping your own home office, there are several ways you can go about it. For most people, a fresh coat of paint would be the first thing that springs to mind, and it is hardly surprising because a fresh coat of paint can quite literally transform an office almost instantly, and especially if you change the colour while you’re at it. Choosing office blinds might seem like a daunting task, considering just how many choices you have, but with a little bit of thought, and a tiny bit of creativity, it is easy to find the perfect blinds for your office. Just like a fresh coat of paint can do amazing things for an office, so too can some good looking office window blinds. Okay, before you start looking at different office design ideas, there are a few basic factors which you should consider. To begin with, think about the size of your office, as well as the size of your office windows. If you are revamping a smallish office you might want to consider striped office blinds; either horizontal stripes or vertical stripes. Striped window blinds create an illusion of more width or more height, depending on which way the stripe is. Vertical stripes can make ceilings look higher whereas horizontal stripes give the illusion of more width. Office window blinds come in a range of different materials, including real wood, faux wood, vinyl, and fabric. Real wood blinds are usually more costly, and they typically require more maintenance, but they exude a sense of quality along with a sense of sophistication and refinement. Faux wood blinds can look amazing, and they only require a minimal amount of care. If your office is close to the sea, or in a very humid area, faux wood would probably be a better choice if you need to keep an eye on your budget. Vinyl blinds and printed blinds are also a great choice for offices because there are just so many different designs and styles to choose from. From plain coloured blinds to intricately designed themes, you can be sure there are styles and designs to suit all tastes. The position of your windows within the office should be taken into consideration when choosing window blinds. North facing windows generally have less natural light than south facing ones. 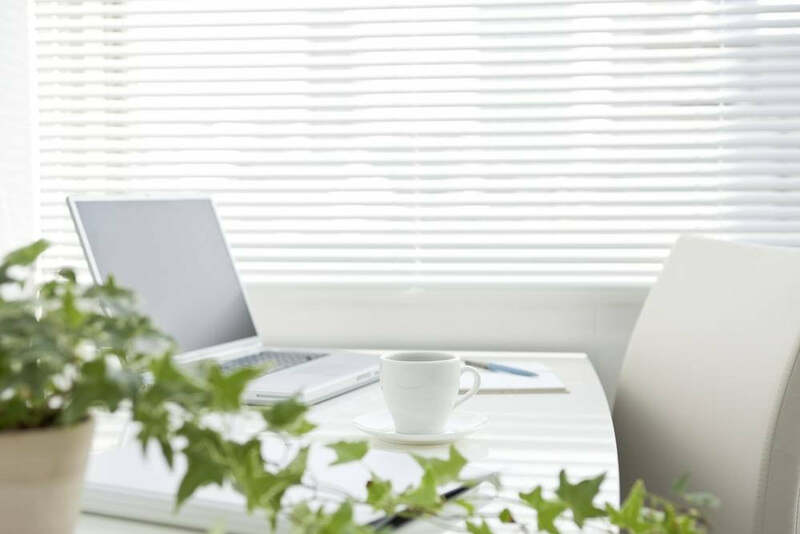 This can be a real bonus in terms of keeping the office cool in the summer, however, it does mean that you need to get as much natural light into the room as possible, not only to help lower lighting bills, but also for your own or co-workers health. Roller blinds are a great option for north facing windows as they can be raise to the top of the window to expose the maximum amount of glass. However, in south facing windows blinds that are adjustable are a better option. Venetian blinds are a good choice. 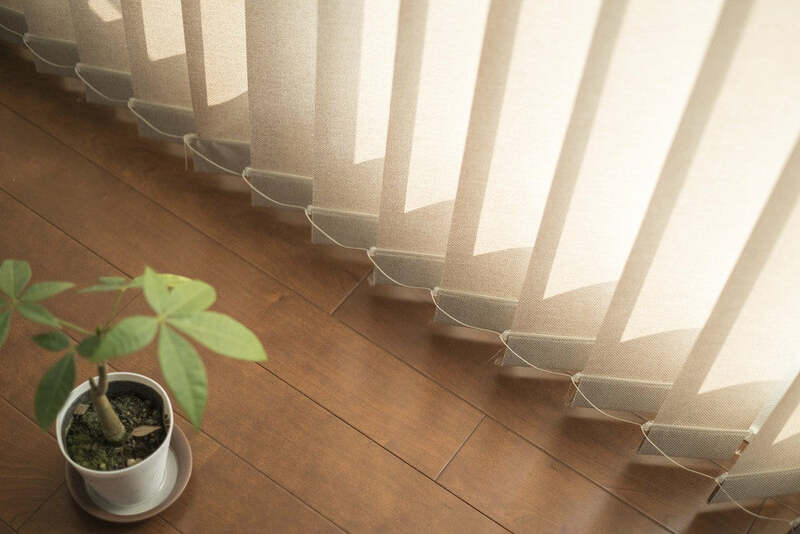 They are budget friendly and can be angled to prevent harsh sunlight from causing screen glare, they will also help to keep the room cooler during the summer. Office blinds can keep an office looking just the way you want it to look for many years; they can help to keep temperatures steady; they protect expensive office appliances from direct sunlight, and so much more.